This image is the perfect illustration to say "spring is on the way!" Snapped in Central Park shortly after the snow storm, the pop of pink in those gorgeous tulips is enough to give anyone suffering from seasonal affective a little hope! Make sure you check out my IFB Conference recap from earlier today! I think you'll find some of the information very insightful. Here's to a fun, long weekend ahead! 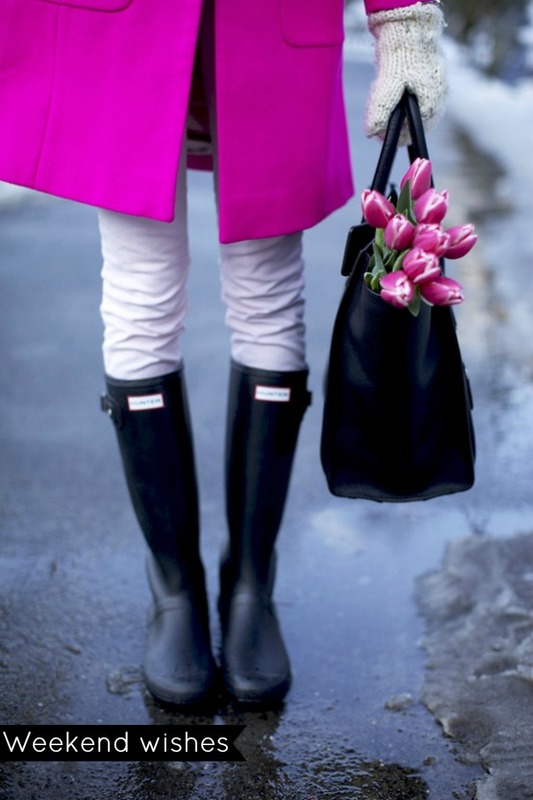 oOOO I love everything about this picture:) And i love the hunter boots! The PERFECT picture!! Tulips are gorgeous.